Whether you want to teach your children about the Pilgrims or whether you are just looking for some Thanksgiving decorations to put around the house…. I have a great Thanksgiving craft for you. 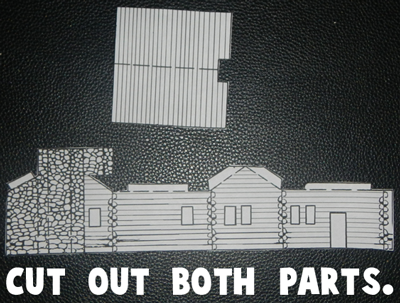 Today I’m going to show you how to make Paper Log Cabins for Thanksgiving. This would be a great craft to help teach your children about Thanksgiving and how important the Pilgrims were to that…. plus, the craft is a lot of fun. 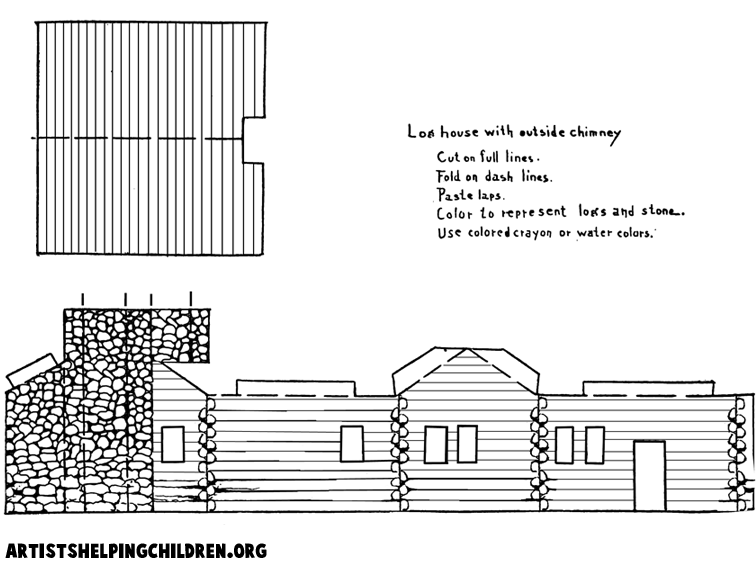 Use the finished Log Cabin to put around the house as a Thanksgiving decoration. Let’s get started. Click on template image below to open up new page and to print. 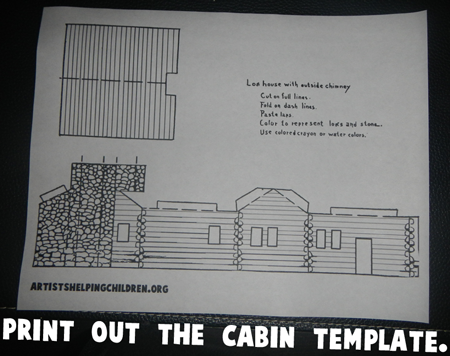 Print out the cabin template. 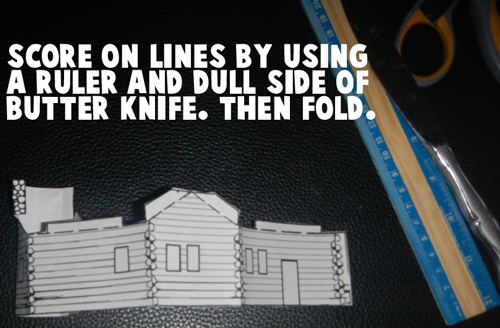 Score on lines by using a ruler and dull side of butter knife. Then fold. 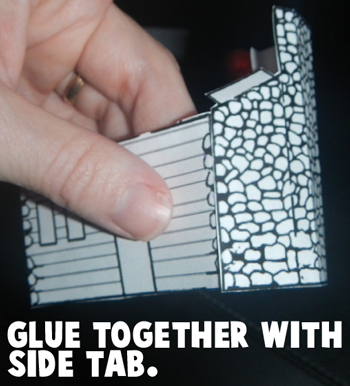 Glue together with side tab. 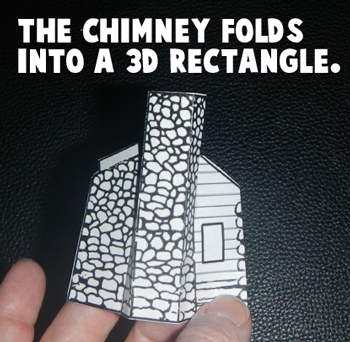 The chimney folds into a 3D rectangle. 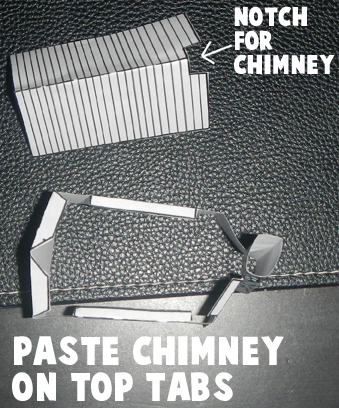 Paste chimney on top tabs. There you go…. 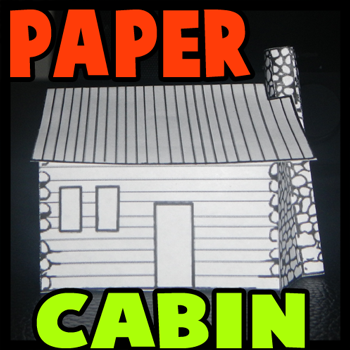 you just finished making one of your Paper Log Cabins for Thanksgiving. 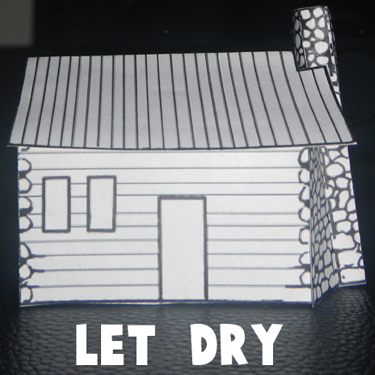 Make a few and use them for a Pilgrim Lesson for your kids and as Thanksgiving decorations for around your house.